Great app! I’ve used this for years and it’s been incredibly helpful. 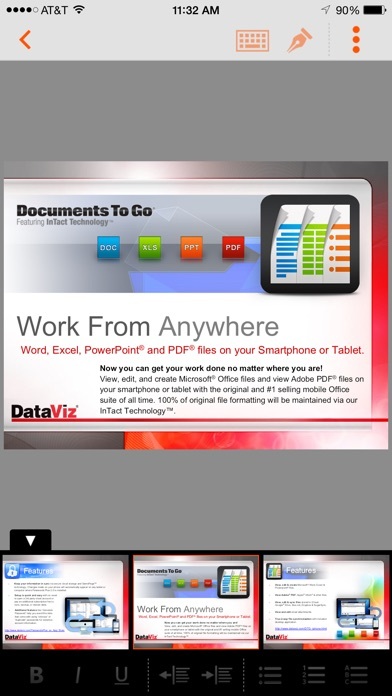 It’s probably the best and most versatile multiple document type viewer in the App Store! However, I’d like to request a couple of enhancements. There’s been one frustrating thing that I have been constantly running into with this app and that’s the inability to search within PDFs. The Find and Replace function works great on Word and text documents, but not PDFs. I am forced to use other apps to search PDFs. It’s a pain. Can you please add a search function to PDFs? Come to think of it, the search function would probably be good for all the other document types too, Power Point, Excel, etc. For some reason this app is unable to copy text from PDFs. Would you add that capability please? Otherwise I have to say it’s a great app. Definitely worth buying. Best way for me to work on my little story series on the go when my laptop is too heavy for my carry on. My only complaint is that it needs to be able to multitask with my other apps on my iPad Pro. I use it all day long but since few days ago 05/21/18 I can't download any file from my iCloud. Dropbox integration is Kappa on any of these programs. I have this app one star because it messed that up with one of the updates. It's important to check the other reviews, because it can help you trouble shoot your problem, which one reviewer did help with. 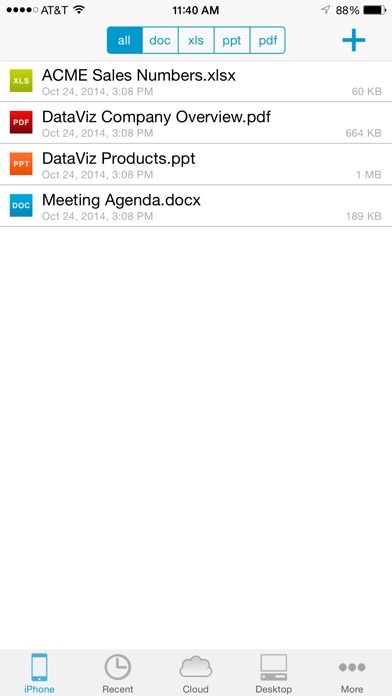 After deleting the Dropbox link within the DocsToGo app then re linking it, I'm happy to say Dropbox works again! So I'm back to 5 stars for this app! Every since the was updated, I can’t get it to open before it crashes on an iPhone X.
I have had this app since the days of Blackberry. It is great, I use it daily. I have office 365 on this IPhone X also but Documents to Go is my main choice. It does almost 100% of everything I need and want. Most recent update has a minor display issue on the options at the bottom - iPhone, recent, cloud, desktop and more - but only if you have your phone portrait mode. Turn it horizontal and it display fine. Still works in portrait mode but can only see half the icon. Overall, this package is wonderful. Or I would have deleted it years ago. I have used this app for over 5 yrs. It continues to be practical and unique. I travel to remote places overseas so I need reliable on-device documents when internet isn’t available. This has always been the app to meet that need. One of the rare ones that also handles Excel, PDF and Word files without having to switch to another app for each. The sync feature with my laptop keeps things coordinated and simple. Thanks for a great a product. This is my first review. DTG was one of the first apps I purchased off the new App Store with my 3GS 9 years ago. I still use it on my X. Many tasks have no alternative on the iPhone. I wish the developer many years of success in the future, partially because I need DTG supported! Likes to open some docs, doesn’t let you manipulate all. Spend the money for a good program. I have used this app every single day for years and enjoy it. Lately when I type in didn't it will add another 't, resulting in didn't't. This is a very minor flaw and I'm just giving the programmers a heads up. Happy holidays to all! I’m so freaking frustrated because I’ve used this app for years to sync files multiple times a day. In the last six months Pc will not reliably find my phone. I’ve followed all the FAQ steps to the letter multiple times, I’ve contacted customer service and they just sent me the FAQs and that I mah need to try the steps several times. Did that too with no success, but that’s not the point this is supposed to be a one touch data sync app...not something I have to fight with multiple times a day all the way to reloading software. Something is wrong with a recent update and I’m tired of them not helping. I would have given this a five star muse use for anyone who needs to track and transfer lots of data...now just avoid it. Too bad too. They quickly fixed an issue that caused the files not open. The app seems to running very well now. I've used this app for years and it was always acceptable, and certainly the best mobile Office emulator out there. With the latest version, I've given up. It no longer syncs with my laptop, and loses files with each upgrade. Fortunately, I had important files backed up, but I'm now searching for a replacement app. This is a great app. I cannot open my current excel files. Please fix this as soon as possible. Update: With the last update (September 28, 2017) I now cannot open a password-protected Excel file on my iPhone. But I can open a password-protected Word file still. With the last update (July 31, 2017), the app just won't start on my (iOS 8.4.1) iPad 2 (still works fine on my iPhone). There was no problem with the last version, wish I could revert to that. This version does not work well at all with the latest update. It freezes everytime and I basically have not been able to use it. Prior to the latest update it was working fine but since Oct 23, 2016 editing anything in it is now impossible. Since I mainly use it for work, it is extremely frustrating. Please update the app so that it is usable again. Thank you! I had the Drop Box issue also, but if you delete the account and re-add it it works just fine. Been using this app for years, keep up the good work. Deleting and re-connecting DropBox account not working, please fix... App is (normally) a great way to view and edit cloud files easily. Nice update log into Dropbox repeats endlessly never actually let you re login. Exiting app and open Dropbox works on Dropbox but no apps to go. Pls fix. Seriously? We pay to use this app, you issue an update that has caused the app to stop functioning and you don't offer an update to fix it? That eliminates customer loyalty. Clock is ticking. This app was the best productivity tool for my iPad until it stopped syncing and started crashing. Now it's useless. I cannot access any of my cloud storage. Please fix this asap! I have had this app for 3 or 4 years and have liked it a lot for keeping important documents on my iPhone, iPad and desktop in sync. For the past several months the desktop sync is unreliable and usually unsuccessful. I will be looking for a replacement app. I've been using this app for years, before there were even smartphones. The app itself works fine, for the most part, but the syncing screws up all the time and corrupts files, resulting in a multistep fix each time. This has been going on for a few years and is unacceptable. Dataviz either doesn't care about this or has not been able to fix it. I hope to find an app from another company to replace this one. I purchased the premium edition and sync with SugarSync (Or at least try to). After latest update my app would not open, sitting on years of docs and no valid support to fix issues, nice. Would not pair from destop PC to iPhone 6 no matter what I did. I had an older version which I've used for years and it suddenly refused to recognize my phone. So I bought this one, uninstalled and reinstalled on destop PC and iPhone with no luck. The web page referred me to iTunes to get my money back but I have no idea how to do that. I have used docs to go for several years and it does everything I want in a portable document utility. The sync to PC feature has given me trouble sometimes but currently works fine and I know how to fix it if it ever fails again. But the app got slower/less responsive when iOS-10 came out. I think they need to release an update! because it's slow and frustrating to use (especially in doc and txt files). Please help, dataviz! 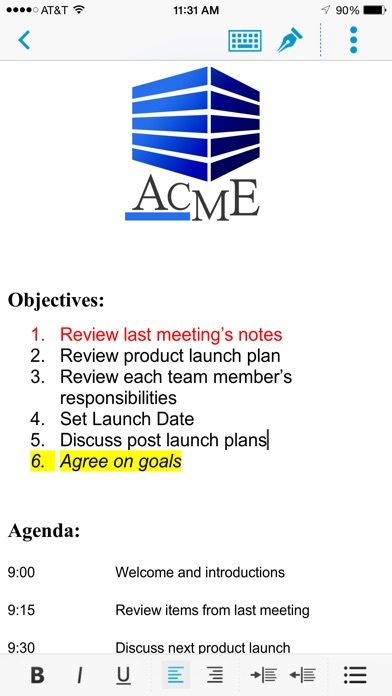 When I originally purchased this app, I was in love, it was easy to use and convenient to share docs to my iPad. Now when I attempt to sync with my laptop, the pairing will not work. It worked on January 3, 2017, then tonight nada. Please do something to send a patch out for this issue! The latest version with ISO9 does not work. When is this going to be fixed? When is this going to be fixed?? The new Docs to Go Desktop for Windows v. 5.0000.17 will not sync with Docs to Go on my iPhone. This app really needs some work. When it works, it is good. But, it constantly crashes on my iPad Pro. I constantly have to re-sync it with docs to go desktop. Help!!!!! Very good app to use across multiple devices. I've used this program/app for several years. It makes it much easier to view all kinds of documents over multiple platforms and devices. I've used D2G for a few years now. I cannot recall why I didn't notice this before but I cannot PRINT THE DOCUMENTS I CREATED ON D2G. 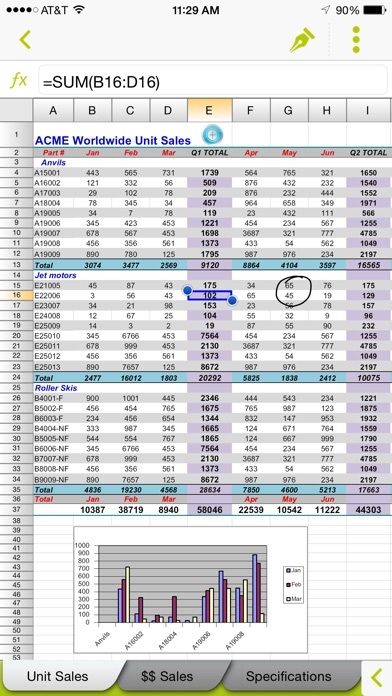 As an old time Excel user, D2G is capable of most functions I use in Excel but the mobile format is prob Y the it takes more effort to get there. Maybe there is a menu selection to do simple things like summing a column of numbers but I just type in "=sum(a1:a10)". I can live with the limited capabilities but the apparent missing capability to print without exporting to another app is the last straw. Am seeking a replacement to this cripple. It works great with Dropbox, but will not index files properly in Good Drive. A real drawback to this app. I can't believe people don't give this app better! I have been using it for years and it has always performed and never given me problems. Other apps such as word, etc. always seemed to not work right. Bottom line it does what they say it can do! This app was once a very reliable tool I used as a writer for many years; however, after an update of my iPad, the app doesn't respond to commands, it's 3 or 4 steps behind and causes a disruption in the creative flow. Very disappointing! There's an old saying that simply states, "if it ain't broke, don't fix it!" I paid for this app years ago and recommended it to other writers; however, my endorsement of this app is being withdrawn because my reputation is on the line. Please fix laptop sync issues! I have used this app for years and have not had any major problems with it. I can send work I created in other apps to this app and transfer them to my PC where I then can use another PC application to email my work to a friend for viewing. It works for what I need it to do and I'm happy with it. I'm hoping that the app will not be abandoned like so many others. I occasionally check my other apps in iTunes, and I have been seeing more of them which simply do not exist anymore, or have turned into another app that I do not own. One of the apps I am talking about is, or rather was, called "Pastebot." Now it's called something else and there is a price on it. It's not what I originally bought anymore. So, what happened to the Pastebot app? I have no idea. > My previous reviews start HERE: Okay - I got brave and decided to update the app. So far I am having no problems. NOW HERE IS MY PREVIOUS REVIEW > > Due to all the warnings not to update I am hesitant about updating. So I will wait. Other than that, I think this is a great product. I've had it for years with no problems. It is simple to use and very handy. It's the only app I have for the purposes it serves. I have not tried any other apps that do the same thing because I was satisfied with this one. If necessary, I would look for similar apps, but so far I haven't found the need to look around. Been using this for a few years and it works a Great. The fix on Google Drive took it out. For me it worked. Until you fixed it. Was great, now a great disappointment. Skip this and look elsewhere. For the past year or so my files have been graying out and becoming inaccessible. It started with just a few files, now they all are gray. These files are important and some represent years of data tracking, all gone now. Deeply frustrated by this. This app used to be my go-to app for spreadsheets. I used to tell others about how easy it was. Now i'm left with ghosted files and frustration. I’ve had this app for years. I can take my documents anywhere and edit them if I need. Not as good if you are expecting Microsoft quality or functions but at least I have the documents when I need them. It has helped me with job interviews, PowerPoints on the spot and pictures of product I sell as a door to door sales man. I also use it to back up documents. It proved to help when my computer hard drive decided to abruptly fail one day with no warning. When I got my new computer I just synced them up with no problems.